In this Facebook Live chat broadcast by BeLive.tv, I chat with social media mavens Catherine Aird and Heather Clifford from Keep it Simple Social Media. Let me know what you think! Tools like Facebook Live are new and exciting ways to engage with your target audience in an easy and affordable way. Get your business ready for the summer! Join us at the Aava Whistler Hotel for a fun day of learning everything there is to know to take your business to the next level with social media. Join us for the morning or the afternoon workshop, or both! It’s never easy… getting up the courage to make a public declaration of love. When it comes to loving a brand, it’s often made through a spontaneous shout out or these days, a quick click of a button to share feedback. Business owners need to pay attention: ignoring customer accolades and shout out’s may risk alienating a brand’s biggest fans and the valuable word-of-mouth marketing that follows. Why pay attention to what advocates say about your brand? Aside from the fact that word-of-mouth marketing is essentially free promotion, there is evidence that these fans are big contributors to the bottom line. Advocates are typically 5x more valuable than an average customer in terms of their own spending and the referrals they generate, Zuberance. According to McKinsey, a relevant recommendation from a trusted friend is 50x more likely to influence a purchase. Who is sharing your content regularly? Do they cross promote offers and incentives with their networks? Are they Pinning images, retweeting tweets or forwarding your newsletter? Who are the most influential advocates? How large is their network and are they considered authorities in their circles of influence? Who is taking the time to create original content about your brand and which channels are they using to spread the word? Above and beyond sharing, original content is even more valuable when a fan sings your praises in their blog or in other articles. What is the response to content that is shared? Are any themes emerging? What is being talked about the most? Check the comments in forums and read what others are saying and learn from this unsolicited feedback. Are customers evaluating your product in public forums? Look at online discussions like Yelp reviews or Trip Advisor ranking along with mentions on your own digital platforms. These can be easy ways to find fans along with customers that need more convincing. HOW CAN FANS BE ACKNOWLEDGED TO DEEPEN THEIR ENGAGEMENT WITH YOUR BRAND? There are plenty of ways to reach out and give a high-five to brand advocates. There are ways to estimate how an advocate helped the bottom line. Whether it be repeat purchases or product recommendations to a wide network, consider how the impact of an advocate’s endorsement could be measured. After adding this up, a bigger thank you might be due! Remember, your customers are not: page views, click rates, email addresses or twitter handles. They are people – just like you and me. Chances are, they will appreciate the recognition for their efforts and be more inclined to share again in the future. Learn more about how to connect with brand advocates at a deeper level. Contact us today to capture new customers and grow a network of advocates. You've planted the seeds. Are you ready to grow? Whether you’re thinking of an overall strategic review or need to outsource your marketing and engagement plans, we can help. 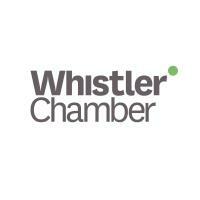 Or visit us in beautiful Whistler, British Columbia. Let's talk about your business on the chairlift or a stand up paddle board! Some of our best ideas are shaped while in nature. Our mission is to plant ideas for positive change. We were founded by an MBA who had loads of questions about fast-growing businesses. Many put profits before people and the planet, though there was no good reason for trade-offs. Instead, she saw a future where business success can be achieved together with social and environmental progress. She tested these ideas as a Marketing Director at Canada’s fastest growing retailer, then built a model to advise companies how they could grow consciously and thrive. We're always looking for trending, breakthrough stories on marketing conscious brands. Our newsletter won't choke up your inbox, but it will cultivate fresh thinking.